Each DR.VR solution is fully customisable allowing you to use the system to deliver any messages in both Video and 360/VR format. To support your company's marketing and communications teams, Rescape are available to work with you, to uncover the most effective way to meet your objectives. Using the latest available technology each headset is wipeable and can be cleaned to adhere to infection control guidelines. The one area not available to be continuously cleansed is the sponge face cushion. 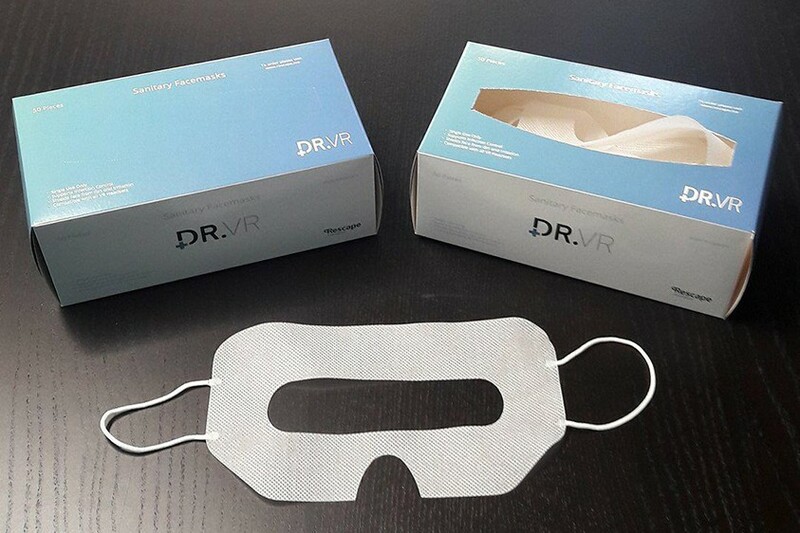 By using the DR.VR sanitary masks you can guarantee the necessary hygiene environment for any VR headset use. This creates a barrier between each patient’s skin and the foam face cushion allowing multiple patients to use the device and limiting the transfer of any infections. The facemasks are available in boxes of 50 and fit inside the DR.VR solution. Upgrade your DR.VR to include a 360 / virtual reality tour. We can produce 360 / virtual reality tours for healthcare institutions, departments and medical procedures and add this to your DR.VR solution allowing you the opportunity to communicate and engage with patients and prospective patients. 360 / virtual reality tours are immersive and interactive. Patients and potential patients can select where they want to view, how they would like to view and navigate as they choose. To discuss a 360 / virtual reality tour please complete the following form and one of our team will contact you.